Miami, FL – July 27, 2017 –TELEMUNDO announced the first list of performers for the 6th annual “Premios Tu Mundo” (Your World Awards), the only entertainment awards show on Spanish-language TV exclusively based on fan votes. Second and third generation members of vernacular music family Pepe Aguilar and Angela Aguilar, world-renowned pop singer Miguel Bose, newcomer mariachi and norteño sensation Christian Nodal, leading Regional Mexican singer Gerardo Ortiz, urban Latin music phenomenon Ozuna, and iconic tropical music singer Olga Tañon to perform during the awards ceremony. The complete list of nominees is available at premiostumundo.com/vota where fans can vote for their favorite actors, musical artists, TV personalities, fan clubs and influencers in 20 categories. 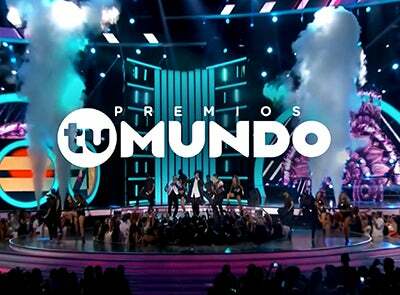 “Premios Tu Mundo” will broadcast live on Thursday August 24, 2017 at 8pm/7c from the AmericanAirlines Arena in Miami, Florida, with a lead-in one-hour pre-show special “La Alfombra de Premios Tu Mundo” at 7pm/6c. Both programs will air simultaneously on Universo, the fastest growing Spanish-language entertainment cable network in the U.S., and in 24 countries throughout the Americas on Telemundo Internacional. Tickets for the awards ceremony are available at Ticketmaster.com and the AA Arena box office. Continuing the family legacy of great artists, Pepe and Angela Aguilar, represent the second and third generation of artists of the talented Aguilar family. Pepe Aguilar is world-renowned for his staple voice and soulful interpretations of Mariachi music. Angela Aguilar, Pepe’s daughter has joined the family’s tradition and does so with great pride. Her new album “Nueva Tradicion,” an EP alongside her brother Leonardo, produced by Manuel Cazarez and Pepe Aguilar as Executive Producer. Following the release of his MTV Unplugged last year, Miguel Bose embarked on the first leg of his 2017 Estaré U.S. Tour, which returns to the U.S. this September after dates in Spain and Mexico. Defying the contemporary formula for pop success, his music has been described as a global fusion of many musical influences. Newcomer Christian Nodal vaulted to the top of music charts with his debut single “Adios Amor,” thanks to heavy airplay, digital sales and streams. The 18-year-old regional Mexican singer from Sonora, Mexico, dubs his musical style “mariacheño,” a mix of mariachi and norteño. The single’s official music video has reached more than 250 million views on YouTube, a rare feat for a new artist. Nominated this year in the category of Favorite Regional Mexican Artist by iHeartRadio, Gerardo Ortiz is a veteran of the music business. Gerardo Ortiz notches his eighth No. 1 on the Regional Mexican Songs airplay chart with “Regresa Hermosa,” earning the record for most No. 1s among solo artists in the history of the 22-year-old chart, surpassing previous record holder Vicente Fernandez for the title. Newcomer Ozuna is a true music maven and an online powerhouse with millions of followers. Earlier this year he managed to simultaneously place six songs on the Billboard Hot Latin Songs chart, a first for an independent artist and a rare achievement in the music industry. He is in the midst of his Odisea World Tour where he has performed at sold-out shows around the globe. He recently became the first music artist to pack the Microsoft Theatre in Los Angeles in a solo concert without ever releasing a music album. Ozuna will release his first music album titled “Odisea” on August 11. The 2017 edition of “Premios Tu Mundo” will feature 20 competing categories, in addition to three special awards, for a total of 23 awards. Top nominees include CNCO, Carlos Ponce, Carolina Gaitanand David Chocarro. For the latest news, be sure to visit premiostumundo.com/vota, and follow “Premios Tu Mundo” on social, joining the conversation by using the official hashtag #PremiosTuMundo.